Artistic Director of Seattle Early Dance, is from the U.K., where she studied early dance for many years with teachers foremost in the profession. She holds a First Class Honors Degree in Dance and Education from Bedford College, U.K., and an M.F.A in Choreography and Performance from Mills College, C.A. 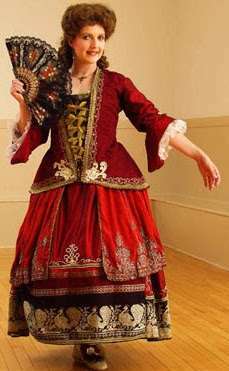 She has been teaching and performing early European Court dance (16th-18th centuries) since 1990. In 1995 she co-founded Footwork OffLimits, a company committed to presenting early dance to audiences in ways both entertaining and informative. Ms Mansbridge has been on the faculty of two early music courses in Europe; the Ringve International Summer School in Trondheim, Norway, and Aestas Musica in Varazdin, Croatia. She immigrated to Seattle in 1998, and in 2000 she founded Seattle Early Dance, which has quickly established itself as the Northwest’s premier early dance company, and has been the recipient of a number of grants. Recent choreography and performance credits include Monteverdi’s Il Ballo delle Ingrate, John Blow’s Venus and Adonis, Baroque Extravaganza with Gallery Concerts, and Spanish Baroque Meets Flamenco in collaboration with Flamenco dance specialist Rubina Carmona. Ms. Mansbridge is also in demand as a solo performer, and has recently appeared with both Seattle Symphony and Bellevue Philharmonic. In addition, Ms. Mansbridge has taught on a number of early music workshops, including The Dancing Master, and the Accademia d’Amore baroque opera workshop, both presented by The Early Music Guild Seattle, and the Cascade Early Music Festival. Afua is a Graduate of Antioch University Seattle, receiving her Academic Degree of Bachelor of Arts in Liberal Studies. Afua’s inspiration and concentration is in Cultural Arts Leadership, Emphasizing TherapeuticEngagement. Her diversity in training with Cultural arts historians, masters and teachers allows her to create and choreograph African dance and creative movements that spring from her magical ability to stimulate, excite and flow with the rhythms of the drums. 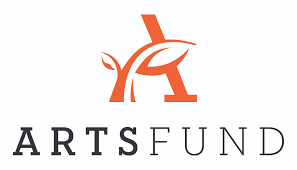 While currently working with Spectrum Dance Theatre, Afua has recently Co-founded a new Cultural Arts Development that is based out of Seattle Washington, Named Kouyaté Arts. Kouyaté Arts is an inter- actively intriguing and amazing experience of the arts, music, dance, culture and life of the people of West Africa. Afua oversees management, choreography and artistic leadership. In the past 30 years, Afua has been an integral part of keeping cultural arts and entertainment vibrant in the Pacific Northwest and abroad. She is dedicated to the community and viewed as a leader of cultural arts. In 1986 she co-founded the Adefua African Music & Dance Company, an intergenerational performance company that provides cultural entertainment to the general public. Adefua is known nationally for their gregarious rhythms rooted in African tribal and European court dances presenting traditional West African music, dancing and song. Throughout it all, Afua’s main strength comes from her loving family. 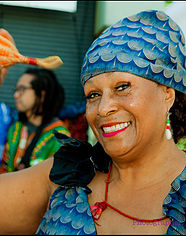 Her husband, Aboubacar “Boka”, twodaughters; Chisula and Nailah, and her son, Kwame are established and respected performers nationally in the African arts community.. She has taught at numerous schools over the years and each learning season ends with a public performance allowing the students a chance to experience celebration. The drum beats….the music rolls and the dance flows! Awaken your spirit and experience Planet Afua. The planet where African music and dance magically stimulates excites and soothes your soul, while maintaining a unique quality that is pure African culture. Radost performs at cultural festivals, ethnic community events, school asemblies and other concerts. 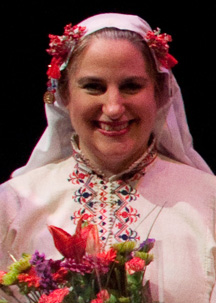 Radost is unique since it has been presenting the folk music and dances of all Eastern European and Balkan countries. Recently the ensemble started focusing on Bulgarian material and is so grateful for the rich legacy that is now being embraced by members of Seattle’s growing Bulgarian community who are proud to participate in their own cultural heritage.Radost demonstrates the huge potential for ethnic dance — both for collaborative projects (fusion between different dance forms), and for presenting authentic material. In the summers of 2005 and 2008 we participated in Seattle Theatre Group’s DANCE this… concert (a part of their educational program) to rave reviews. The Paramount Theatre sold out 2 nights in a row! 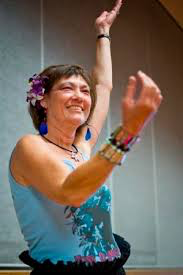 Eileen Mumm began instruction in Hawaiian Dance at Jefferson Recreation Center in Seattle, progressed into private classes, and entertained at community events in Washington and Canada (such as Folklife). She relocated to Kailua Kona on Hawaii Island and studied with hula masters George Naope, Lanakila Brandt, and John Kaimikaua. Eileen performed numerous times at Hulihe’e Palace, the Grand Hyatt, Kona Surf, Keauhou Beach Hotel, and at the Hotel King Kamemeha. She taught for West Hawaii Dance Theatre, Hawaii County Parks & Recreation, and organized presentations extensively throughout Hawaii including: Kona Coffee Festival, Aloha Week celebrations, Kalakaua International Hula Competition, and the Kona Health and Fitness Expo.Upon returning to WA state, she began teaching for the Olympia and Seattle Parks and Recreation departments.